We’ve been hired by Bath Rugby again to tackle The Clash! We have some great news – after we successfully managed The Clash 2018’s event PR (case study here), Bath Rugby recently got in touch with us to ask if we could do the same for The Clash 2019! For The Clash next year, Bath Rugby will go head-to-head with the Bristol Bears, alongside a day filled with family entertainment. 2019 will be the third year of The Clash and the second year that we’ve supported the event! 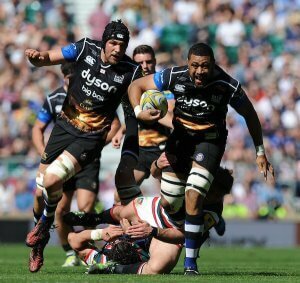 Taulupe Faletau of Bath Rugby takes on the Leicester Tigers defence, at The Clash 2018. What are we doing with them? We will support the event PR, such as handling proactive PR (e.g. ticket announcement news and creative stories), press office and influencer engagement. This activity will aim to raise awareness of The Clash and grow Bath Rugby’s national fanbase – plus look to drive website traffic to boost those much-wanted ticket sales! 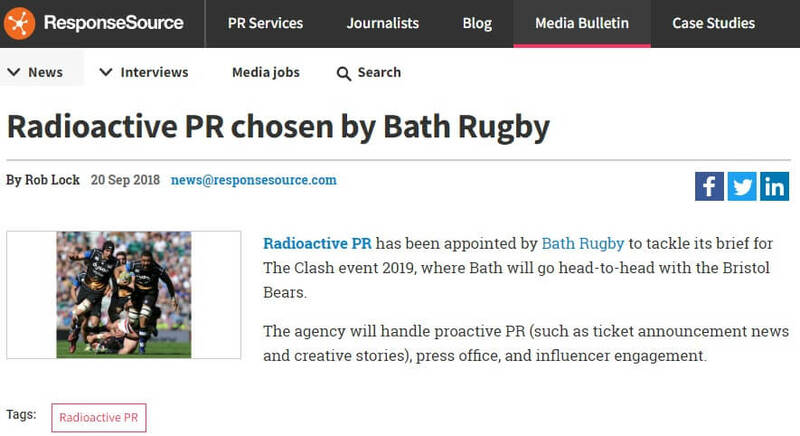 We’re very excited to be working with Bath Rugby again on its event PR – it was a lot of fun this year and we plan to take any learnings from it to make The Clash 2019 even more successful! “Radioactive PR worked with us on The Clash 2018 and achieved some great results. They were a pleasure to work with and so it was not a difficult decision to re-hire the team ahead of next year’s event. “The Clash isn’t just another Premiership rugby match – it’s more like THE event you definitely don’t want to miss whether you’re a rugby fan or not. Last year over 61,000 people travelled up to Twickenham and we expect next year’s event to be even bigger. Our new business win got featured by Bulldog Reporter, Response Source and Gorkana. Public relations: how can it be used to manage a crisis?